Save SAR 45 (90%) – Earn 0 Shukrans What is Shukran? Shukran is the Landmark Group’s award-winning loyalty programme in the Middle East, which allows you to earn Shukrans when you shop any of our brands. 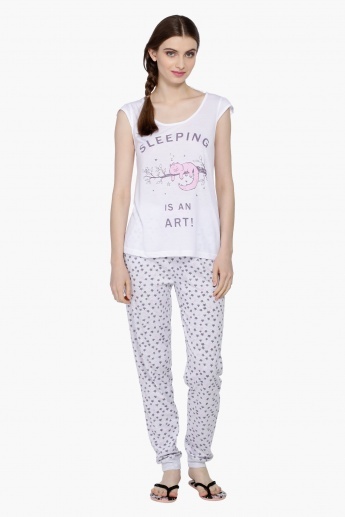 Soft and cosy, this pyjama set will keep you calm and comfortable all night long. 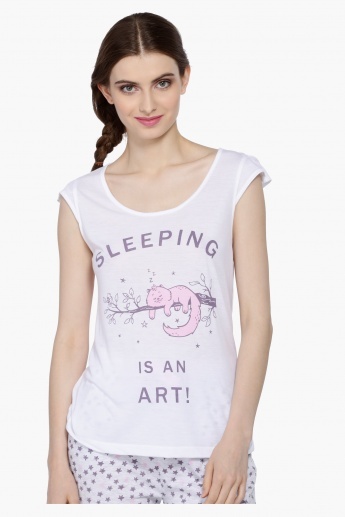 Along with an attractive print, the round neck t-shirt has short sleeves and the pyjamas have snug fitted cuffs to offer a great fit.